Title: Sounds of a Playground Fading. Sounds of a Playground Fading. Format: CD. Item Condition: New and unplayed. A New Dawn. Jesters Door. Enter Tragedy. Format: CD. Catalogue Number: 19075936262. 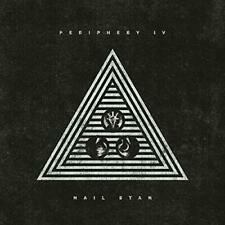 Periphery IV Hail Stain CD Digi Pack . Condition is Like New. Dispatched with Royal Mail 2nd Class Letter. 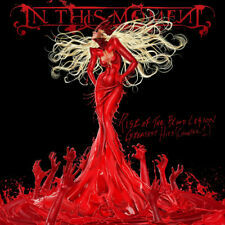 Arch Enemy - Covered In Blood. Format: CD. Back To Back. Sale Corner. Walk In The Shadows. Classic Artists. Spräckta Snutskallar. When The Innocent Die. Disc 1 5 Goliath 3.28 mins. Disc 1 11 Axe Wound 4.14 mins. Disc 1 10 The Deathsurround 3.04 mins. Disc 1 9 Dead Poet 4.33 mins. Disc 1 8 The Mirror Never Lies 4.01 mins. Disc 1 6 In Denial 4.04 mins. Disc 1 4 Grim Sleeper 4.01 mins. New listingSkeletal Remains ‎– Devouring Mortality CD LIMITED Edition Digipak - SEALED! 4 Devouring Mortality. They are not sealed, the inlays and the discs may have been removed for photographing and then replaced. Video will open in a new window. 1 Ripperology. 9 Lifeless Manifestation. Digipak and cd in very good condition. Format: 2CD. Release Date Catalogue Number: 9983502. HELLHAMMMER DEMON ENTRAILS DELUXE 2CD MEDIABOOK,BOOKLET POSTER C/w OBi Strip Jap. Condition is Like New. Dispatched with Royal Mail 2nd Class Large Letter. 7 Viktoria 3:06. 9 Silent Night 4:12. 8 The Devil's Song 3:46. 3 Equestrian Bloodlust 2:51. 6 The Last Fallen 4:25. Firewind ‎– Immortals CD - LIMITED Edition Mediabook - Heavy Metal - SEALED! Firewind - 2017 - Immortals. 8 Immortals. They are not sealed, the inlays and the discs may have been removed for photographing and then replaced. We were blown away by this album. Video will open in a new window. All original inserts included - these are also in perfect condition. Band/Artist: Lion's Share. Year of Release: 1997. 1 Wild At Heart. 7 Flash In The Night. Condition: Used - CD, Booklet, Inlay and Case all in Very Good Condition. Format: CD. Disc 2 10 Genocide. Disc 2 6 No Pity for a Coward. Disc 2 11 Disengage. Disc 1 3 Smoke. Disc 2 9 Wake Up. Disc 2 8 Lifted. Disc 2 4 Price of Beauty. Disc 2 3 Unanswered. Voivod’s 14th studio album 'The Wake'. Format: CD. The End of Dormancy. Pre-orders will be despatched to arrive on or just after the UK release date. Classic Artists. Obsolete Beings. Format: CD. Sale Corner. Classic Artists. This Is War. Sleepers Awake. Cat No: 9980378. Country: Germany. Released: 2010. Storage wear to case. Condition: Like New. Lacuna Coil - In a Reverie CD. Title: Architect Of Lies. 9 I Am Lies 5:43. Year of Release: 2008. Condition: Used - CD, Booklet, Inlay and Case all in Excellent Condition. Format: CD. Disc 1 11 K-141 Kursk. Disc 1 10 Hope to Die. Disc 1 9 False Preacher. Disc 1 7 Nocturnal Rites. Disc 1 6 Tales from the Crypt. Disc 1 5 Absinthe. Disc 1 4 Jekyll & Hyde. VeRO & IP Rights. We promise to do everything possible to put things right for you. Orders will be fulfilled by our own warehouse or a 3rd party supplier at our discretion. Type: Audio CD. 3 –Gamma Ray - Victim Of Changes 7:20. Year of Release: 1996. 7 –Radakka - Night Crawler 5:51. Format: CD. Condition: Used - CD, Booklet, Inlay and Case all in Very Good Condition. Disc 1 8 Stay Young Forever. Disc 1 6 The Blues. Disc 1 10 Year in Year Out/Up and Away. Disc 1 9 Heartburn. Disc 1 7 Red Eyes. Disc 1 5 An Open Letter to Myself. Disc 1 4 BTN. The Ocean's Heart. For We Are Forever. Format: 3CD. Classic Artists. Sale Corner. VeRO & IP Rights. We promise to do everything possible to put things right for you. FOOD & DRINK. Orders will be fulfilled by our own warehouse or a 3rd party supplier at our discretion. COLLECTIONS & LOTS. CONDITION: CD is in EX condition. The Small Print. Disc 1 1 Trip the Darkness. Disc 2 2 Chapter II: While You Sleep. Disc 1 3 Kill the Light. Disc 1 2 Against You. Disc 1 7 I Don't Believe in Tomorrow. Disc 1 8 Intoxicated. Disc 1 9 The Army Inside. Disc 1 10 Losing My Religion. Disc 2 3 Into the Fire. Disc 2 9 The Silent Code. Disc 2 10 Life Foreclosed. Disc 2 8 Circle of Life. Disc 2 7 My Loneliness. Disc 2 4 Head Up High. Rare Promo CD. D-fect : CD ALBUM - 1997. Card Sleeve. Ü ALL ARE ORIGINALS AND ALL PLAY PERFECTLY THROUGHOUT! BUY THIS CD NOW AND GET THE CD'S I SEND TO YOU WILL BE IN A BUBBLE WRAP ENVELOPE FOR SAFETY. I WILL NEVER SEND A CD WITH A BROKEN JEWEL CASE. Bonded by Blood. Price : £9.99. Lesson in Violence - Live. Title: Lions Share. Band/Artist: Lion's Share. 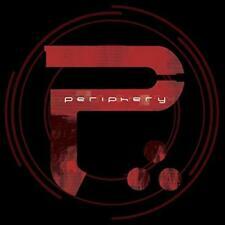 Year of Release: 1997 (Originally 1995). Condition: Used - CD, Booklet, Inlay and Case all in Very Good Condition. Format: CD. 4 Play By The Rules. Format: CD / Album. 11 Dead Heart in a Dead World Disc 3. 2 Final Product. 7 The Holocaust of Thought. 5 Sentient 6. 3 My Acid Words. 10 Believe in Nothing. 9 Insignificant. Format: CD DVD. Rare Collectables. Sale Corner. 6 Masterplan 6:25. 12 Slaughtered 3:56. 11 String Break 0:43. 10 Circling The Drain 7:17. 9 Wake Up 5:41. DREAM EVIL. 'IN THE NIGHT'. Skeletal Remains ‎– Devouring Mortality CD LIMITED Edition Digipak - SEALED! Adrenaline Mob ‎– Omertá CD - Heavy Metal / Hard Rock - NEW/SEALED!